For a Play That Goes Wrong, Chaos auf Schloss Haversham, does get a thing or two right. 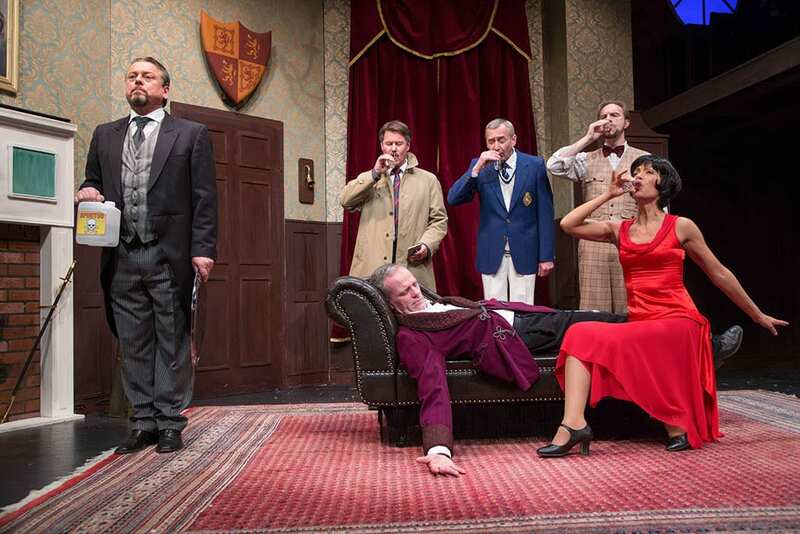 Originating in the tiny stage at the Old Red Lion before becoming a surprise hit on the West End, The Play That Goes Wrong introduces us to an amateur theater company excited to put on a production of Chaos auf Schloss Haversham. What follows is two hours of non-stop gags, slapstick, and destruction as lines are dropped, props misplaced, and the set literally falls apart around them. 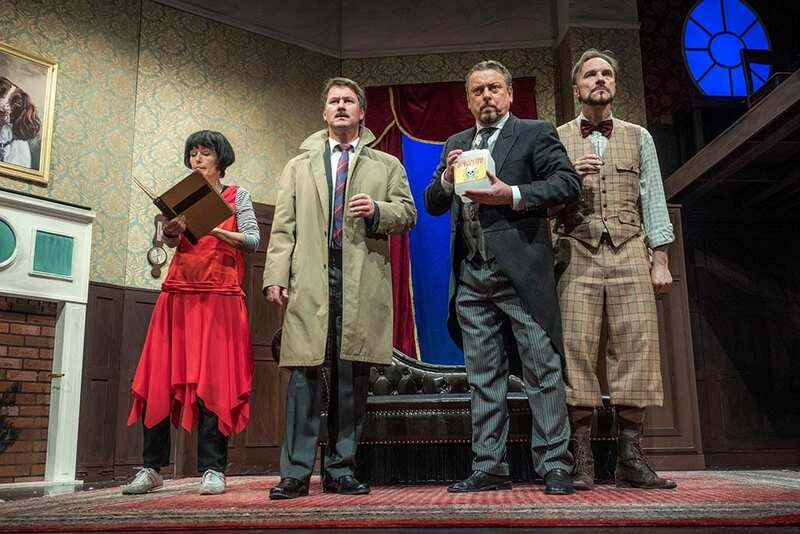 For an English play, The Play That Goes Wrong seems to be designed for German humor. The winter run seems fitting, as it is the exact slapstick humor of the Dinner for One, a British short film traditionally watched by Germans on New Year’s Eve. 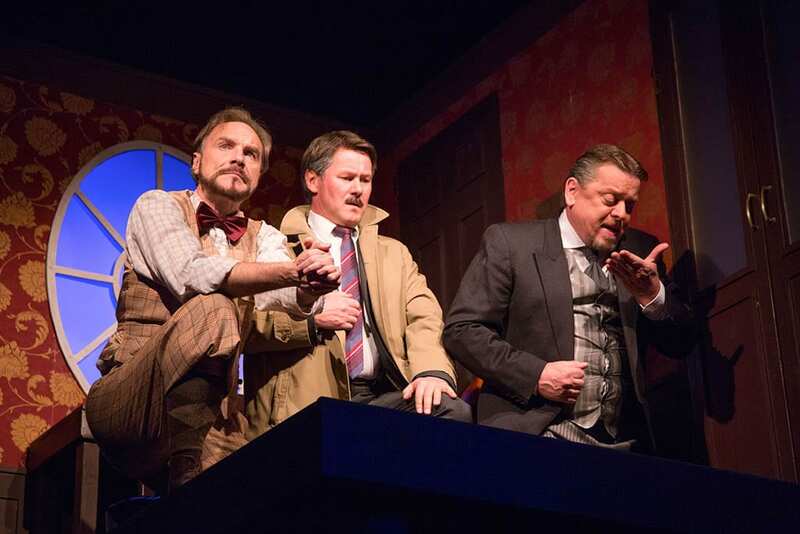 This play sees Inspektor Carter played by Chris Bean played by Jens Knospe arrive at an old manor home in the middle of a snow storm to investigate the murder of Charles Haversham played by Jonathan played by Steffen Wilhelm. The suspects are his fiancé, Florence Collymoore played by Sandra played by Arzu Ermen, his brother, Cecil Haversham played by Max played by Stefan Schneider, his best friend Thomas Collymoore played by Robert played by Dirk Waanders and the butler, Perkins, played by Dennis played by Wolff von Lindenau. Originally a one act play, it has now been stretched into two acts and the wear shows a bit. The first act is where it suffers the most, with obvious jokes and slow timing dragging the pace out a bit. However, the show really hits its stride in an increasingly frenetic forgotten lines bit right before the curtain closes for intermission and the play continues that momentum into the second act turning an occasionally funny production into a hilarious, high energy good time. Jokes that are set up in the first act, such as actor Max’s (playing Cecil and Arthur) smug pandering to the audience finally begin to pay off and Robert’s (playing Thomas) rage and frustration reaches its peak as he is forced to contend with the most physical of the destroyed stage stunts. 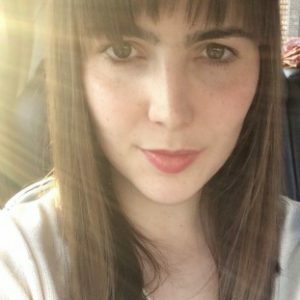 Throw in a surprisingly delightful Annie (Ines Arndt), an awkward stage manager forced to take on the role of the leading lady and the show that started off slow becomes worth the wait. Ein Amateur-Theatergruppe möchte das Stück “Chaos auf Schloss Haversham” aufführen. Doch während des Theaterstücks beginnen die Probleme: Vergessene Zeilen, verlorene Requisiten und ein sich auflösendes Set. Aber das einzige was zählt an diesem Abend, an dem so alles schief läuft: the show must go on.